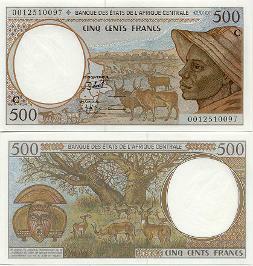 The CFA franc (in French: franc CFA, "céfa", or just franc colloquially) is a currency used in 12 formerly French-ruled African countries, as well as in Guinea-Bissau (a former Portuguese colony) and in Equatorial Guinea (a former Spanish colony). 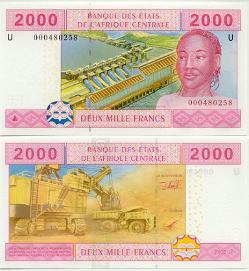 The ISO currency codes are XAF for the Central African CFA franc and XOF for the West African CFA franc. 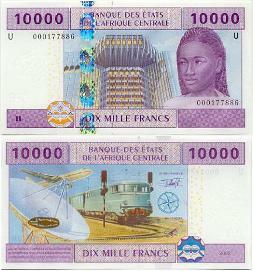 It has a fixed exchange rate to the euro: 100 CFA francs = 1 French (nouveau) franc = 0.152449 euro; or 1 euro = 655.957 CFA francs. 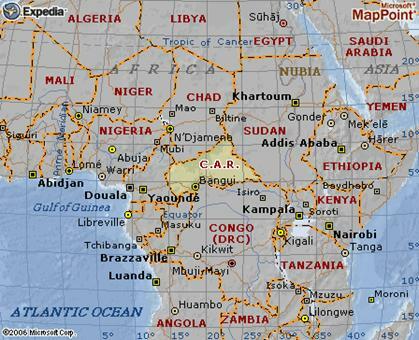 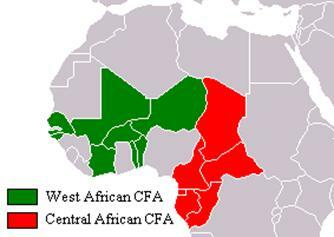 Although Central African CFA francs and West African CFA francs have the same monetary value against other currencies, West African CFA coins and banknotes are not accepted in countries using Central African CFA francs, and vice versa. 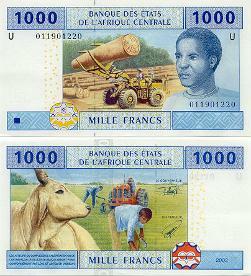 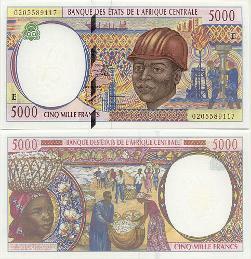 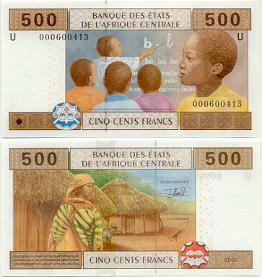 The CFA franc was created on December 26, 1945, along with the CFP franc. 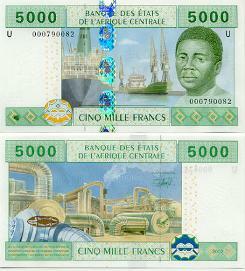 The reason for their creation was the weakness of the French franc immediately after World War II. 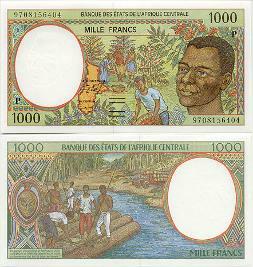 When France ratified the Bretton Woods Agreement in December 1945, the French franc was devalued in order to set a fixed exchange rate with the US dollar. 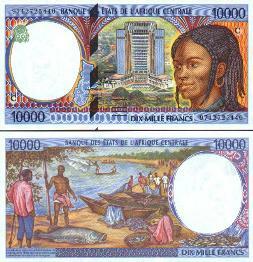 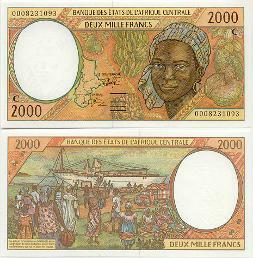 New currencies were created in the French colonies to spare them the strong devaluation.